Very, very tasty Chicken Korma to try at home. This Korma can be served with ghee rice,jeera rice,biryanis,idli, dosa,chapathi,parotas etc. Grind grated coconut with cashews and poppy seeds.Keep this aside. Grind the spices(green chillies,ginger-garlic paste,saunf,coriander seeds,clove,green cardamom and cinnamon stick) together to a fine paste. Heat oil in a pressure pan, saute bay leaves and onions for 3 mins. Add the ground spices and saute for 2 mins. Add the chicken pieces and salt and saute for a min . Add the ground coconut paste with 1 cup water,few mint and coriander leaves. Cover the pressure pan with lid and pressure cook upto 4 whistle.Turn off the flame.Leave it for 15 mins. Open the lid,check salt and sprinkle the lemon juice over the korma. 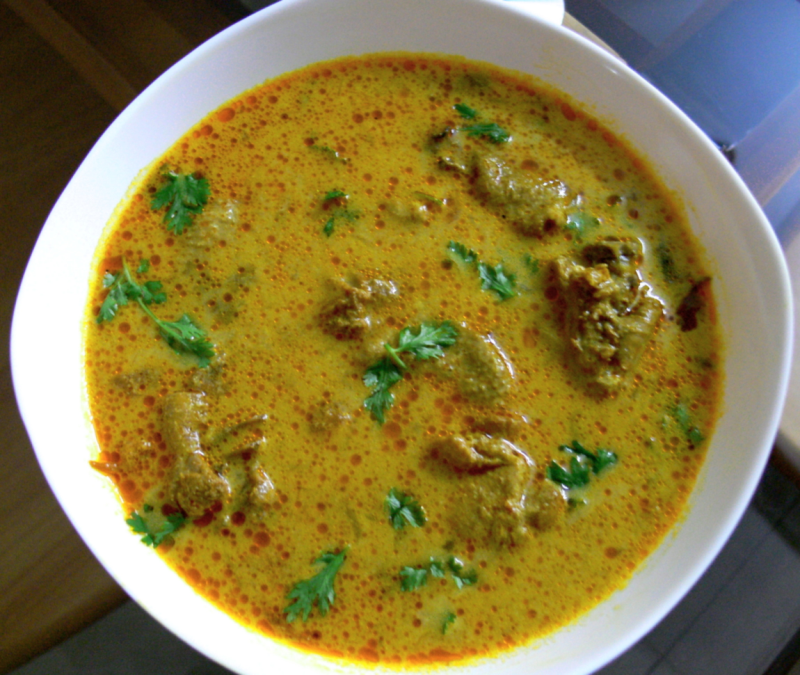 Very tasty chicken korma is ready to be served with ghee rice, jeera rice, biryanis, idli, dosa, chapathi, parotas etc. Hi ! Christy .... Ur Chicken Korma is Excellent . Everybody liked it but I found a slight raw taste of d poppy seeds . Do we need to dry roast the poppy seeds before grinding ? Thank U so much . Ur Korma looks Delicious and Rich . Will try out tomorrow nd let U know . I tried out Ur Kara Kozhukatai nd it turned out gud . Thank U so much . Thank u so much Halima!. nice recipe chtisty! i'm trying it today. sounds yummy. Thank u so much Anila!. Please add 600ml water or 3 cups water instead of 1 cup water in Step 5.